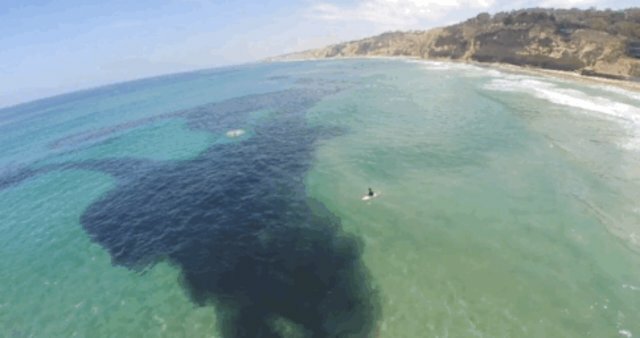 Yesterday, beachgoers in San Diego were treated to a rare and remarkable sight as a millions of the migrating little fish descended on the coast. 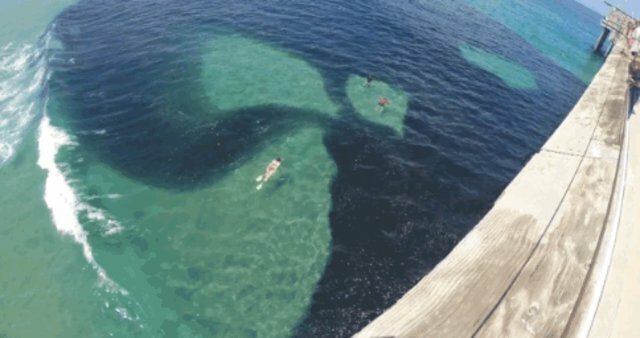 The normally clear waters turned dark as the massive school clouded the water, twisting and changing shape like that stuff inside a lava lamp. Researchers from the nearby Scripps Institution of Oceanography at U.C. 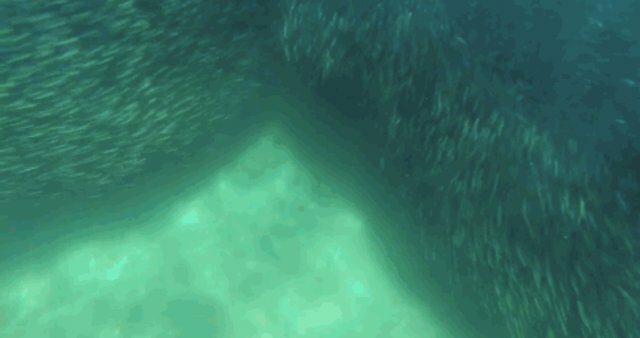 San Diego say that the huge gathering of Northern anchovies is the largest that had been seen in the area in more than 30 years. Anchovies normally stick to cooler waters in the north, but mild temperatures in the region have clearly made for ideal conditions along the coast of Southern California. As impressive as the swarming school appears from above, it's all the more remarkable when seen from below the surface.